The Circular Quick Change Tooling system accommodates radial and axial differences between parts. The system is designed with interchangeable components for a seamless switching between parts, reducing machining downtime and increasing productivity. 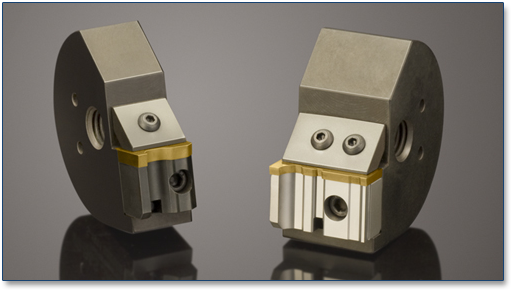 The insert tooling comes in optimal geometries, grades and coatings for creating a superior surface finish. Custom designs are available.